AQUAMAN director James Wan cut his teeth in horror. In fact, he’s made some of the biggest horror films of the past twenty years. SAW was his baby, and that launched a series of seven sequels. Wan also directed INSIDIOUS, which led to multiple sequels, and THE CONJURING, which launched not only a proper sequel, but a whole set of spin-off films. In short, James Wan knows how to give audiences what they want — he understands spectacle and atmosphere and character. Those are essential horror elements. AQUAMAN does not force Wan to water down his approach; he actually gets to ramp up all his instincts. Here’s how James Wan refashions his horror formula for success under the seas of the DC Universe. A big part of the appeal of horror films is that they can make ideas that are totally improbable, even impossible, into stories we believe. Wan has taken big dives into that territory in all of his horror efforts. 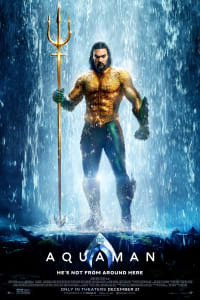 And when you get to AQUAMAN, which is about a half-human, half-Atlantean man with super powers who can talk to fish… well, that’s about as improbable as it gets. Wan also gets the benefit of underwater locations, which are inherently strange and alien, even scary. AQUAMAN is full of CG creatures, and while they’re not all out to terrify audiences, the director’s experience with creating spectacle translates to the superhero movie. Then, when this film dives into the Trench, Wan gets the chance to evoke some genuine fright. Part of this sequence has characters trying to escape the Trench with just a red light to illuminate the scene, which creates a surreal, spooky atmosphere. Since Warner Bros. has been behind the CONJURING series — and has benefitted from it in a huge way — Wan leaned into the idea of horror when pitching his take on Aquaman. “I thought I could make “Aquaman” a genre film, meaning a horror monster movie,” he told the New York Times. 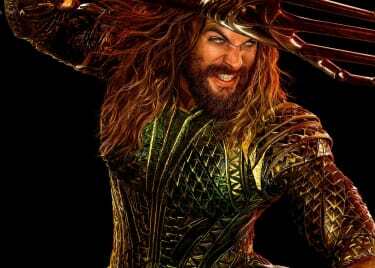 “DC basically said, yes, you can make Aquaman versus sea monsters if that’s what you want.” So that’s part of how we got a superhero movie with Atlantean characters riding sharks. 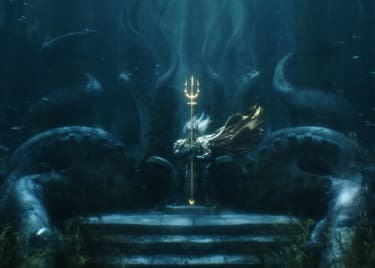 In the end, AQUAMAN is a movie meant for all audiences, so scaring the pants off fans isn’t exactly what Wan is after. But the director’s talent for creating incredible spectacle is a huge part of the film, and this superhero film is a barrage of ever-larger ideas. There’s a battle between aquatic forces, featuring giant crabs and lobsters, in addition to the aforementioned sharks, not to mention the strange villain Black Manta. 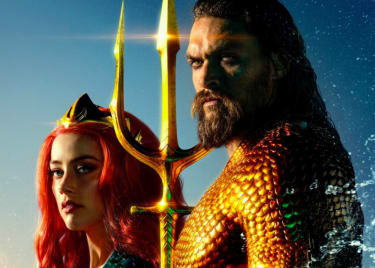 Throughout, Jason Momoa and Amber Heard ride waves of energy conjured up by Wan — instead of covering your eyes to hide from terrors, you’ll be screaming for more.